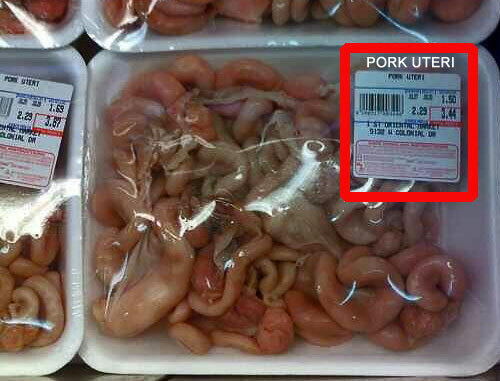 JeffD snapped a pic of this fabulously gross pork uteri he spotted in a supermarket in Orlando. I try to be open minded, but this is just too gross to imagine anyone eating. The meat (organs) just look so unappetizing. Thanks Jeff, for the pic! « The Jane Austen… Fight Club?